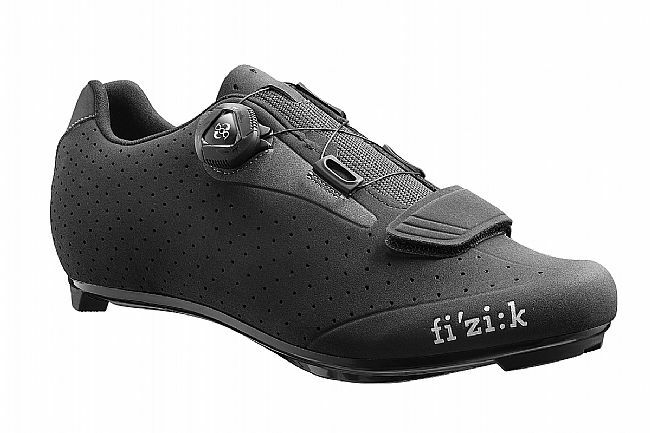 The Fizik Men's R5 Uomo Boa Road Shoe is handmade in Italy to meet the needs of demanding cyclists. 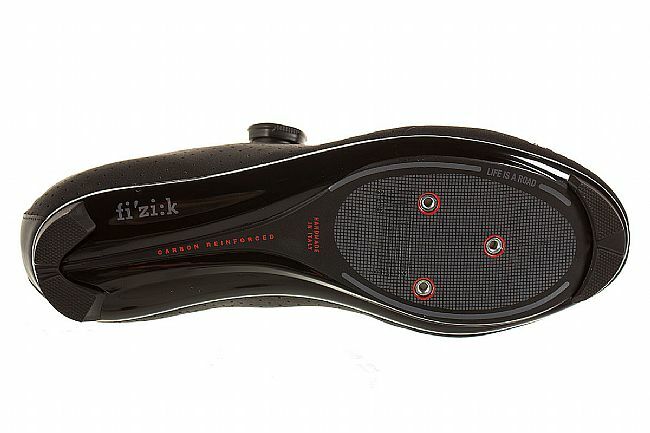 The perforated Microtex upper is breathable, durable, and lacks nothing in the way of style, and it shrouds the foot in complete comfort thanks to Fizik's Boa IP1 wire closure that's micro-adjustable for a perfect fit that's easily changeable on the fly. 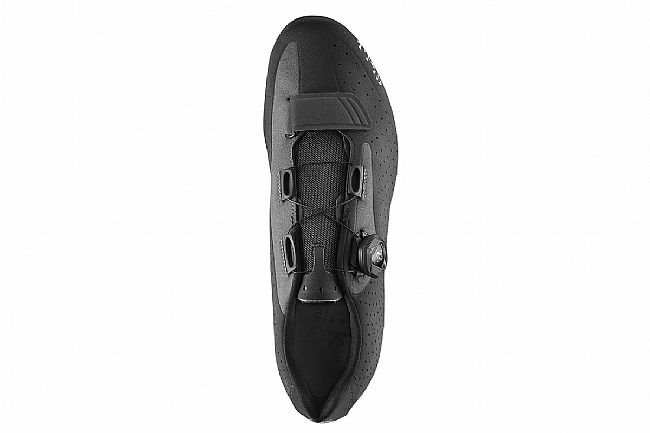 Performance is ensured by the carbon reinforced nylon sole that's compatible with standard 3-bolt road cleats. Features a reflective heel and upper panels for enhanced visibility. Claimed weight is 260 g (size 43). Compatible with three-bolt road cleats. I very much liked that these shoes are NOT made in China, they are hand made in Italy (BTD should clearly state where each and every one of the products they sell is made). 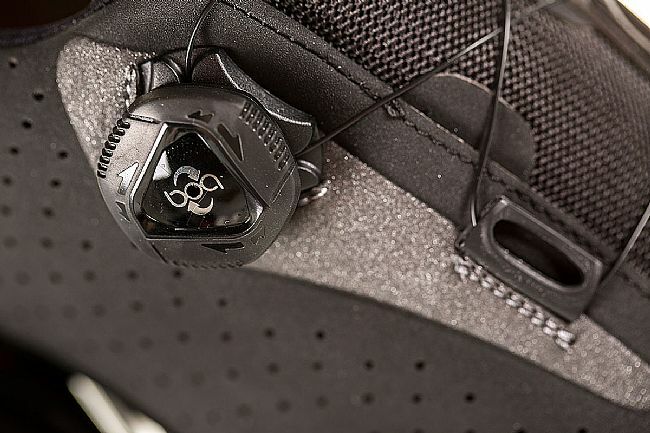 The shoes appear to be well made and have a very sleek, but muted appearance, they are as attractive a shoe as one could expect in cycling shoes. Retail at $185 seems too high, but the price more reasonable in the $135 range. Unfortunately for me, the shoes are way too narrow for my feet. 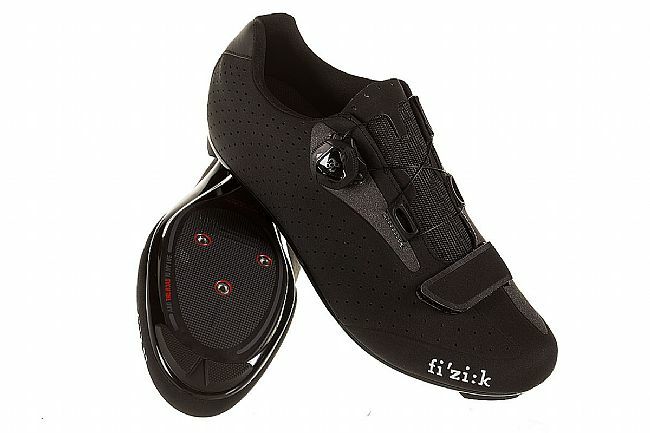 I ordered a sz 46 (US sz 12) after checking the Fizik website for the shoe size (shame on BTD for not posting the size chart). Length of the shoe is correct, but I would classify these as something narrower than a standard D width. 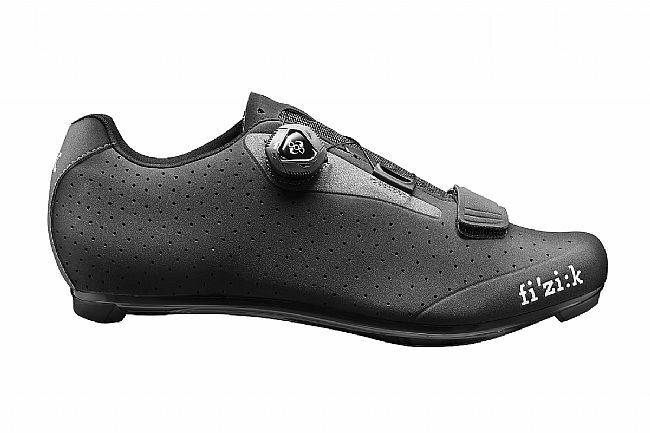 The photos are a bit deceptive when it comes to shoe width as it appeared they would be a little wider (BTD shows more pics than the Fizik site). I am really bummed that these shoes did not work for me due to the narrow size, but would recommend to anyone with narrow feet to give them a try.